On the surface, a successful year in real estate is usually determined by production, listing volume and closings. Looking back upon the transformative year we had in 2018, our success goes beyond measurables. From a major rebranding campaign to company growth opportunities to give back efforts within our communities, there is a lot we are grateful for in 2018. At company-wide and individual levels, CENTURY 21 Judge Fite Company received many prestigious awards and recognitions throughout 2018. We were named the #1 CENTURY 21 Texas Franchise in closed units and closed commissions and the #4 CENTURY 21 Franchise in the United States in closed units. Our CENTURY 21 Judge Fite Commercial team joined in on the company’s accolades, earning the title of the #2 CENTURY 21 Commercial Division in the United States. Our real estate professionals are creating milestones in our history due to their success in the Dallas/Fort Worth real estate market. For more than 80 years, our real estate professionals have provided the Dallas/Fort Worth Metroplex world-class service and dedication. In October, the Dallas Business Journal awarded us the #1 Best Place to Work for 2018, while the Dallas Morning News named us the #2 Top 100 Places to Work among large companies and overall Best Training in all categories. D Magazine and 360 West recognized 22 Judge Fite REALTORS® and seven teams with their respective Best Lists. Our leadership received well-deserved praise as Executive Vice President Jan Fite Miller made the Dallas Business Journal’s Women-Owned Businesses List while President and Chief Executive Officer Jim Fite secured a spot in D CEO’s annual Dallas 500 issue. In February, our Relocation team was recognized by the Cartus Broker Network for its impressive performance in 2017. For the fifth consecutive year, we earned the prestigious Platinum Award as well as the Five Star Award for the most broker-to-broker referral closings. Our real estate professionals work hard every day to help their clients attain a piece of the American dream, and their efforts do not go unnoticed. Each spring we take the time to honor these individuals and teams at our Awards Celebration, including celebrating multi-million-dollar producers, anniversaries, quality service, national master level and Centurion recognition and top company awards in the real estate industry. Undoubtedly our greatest undertaking of 2018 was the CENTURY 21® rebranding initiative. Today’s real estate industry is ever-evolving, as franchises seek innovation, modernity and relevance. Changing a brand identity when you’re the most recognizable name in global real estate is no simple task. Under the new leadership of the CENTURY 21® national franchise, the company unveiled a bold rebranding campaign aimed at challenging the existing conventions in real estate relationships. With a revamped mission to defy mediocrity and deliver extraordinary experiences, our Judge Fite family embraced this simple and sleek brand identity. The marketing department spent the year hard at work incorporating the new look across the CENTURY 21 Judge Fite Company real estate brokerage. From customized property marketing to strategic advertising campaigns to everyday office materials, the makeover elevated our identity in the Dallas/Fort Worth Metroplex and enabled our real estate professionals to grow their businesses. The rebranding initiative not only affected CENTURY 21 Judge Fite Company, however. It influenced the look of our Fine Homes & Estates division, Judge Fite Insurance, CENTURY 21 Judge Fite Property Management, CENTURY 21 Judge Fite Commercial, Connections Network, Designated Titleand Judge Fite Charitable Foundation. As one of our core values, CENTURY 21 Judge Fite Company is dedicated to serving our communities across Dallas/Fort Worth through various philanthropic partnerships and donations from the Judge Fite Charitable Foundation. Our mission is to support with our time, talent and treasure, housing opportunities for the less fortunate among us, and to provide financial support to local organizations and charities that also strive to improve the quality of life. Since the Judge Fite Charitable Foundation’s launch in 2017, we have provided much-needed financial support and grants for families and local organizations in our geographic communities. This year we donated more than $100,000, thanks to generous donations from CENTURY 21 Judge Fite Company agents, staff and friends. CENTURY 21 Judge Fite Company partnered with Easterseals North Texas in the late 80s to support its mission of providing individuals with disabilities the daily care and assistance they need. Through this life-changing partnership, we were honored to be named a North Texas Nonprofit Partner of the Year finalist by the Center for Nonprofit Management of Dallas. Our biggest philanthropic event of the year, the 20th Annual Boots & BBQ Silent Auction, raised more than $230,000 for Easterseals North Texas. The popular live auction featured many swoon-worthy items including a Brazilian getaway, Spring Break trip to Park Cities, Utah, other trip destinations, and one-of-a-kind items and experiences. Throughout the year, our real estate and core services offices organize additional opportunities to give back to those in need across the DFW Metroplex. We proudly supported Dwell with Dignity, a non-profit entity, as a kitchen sponsor. During the holiday season, Judge Fite Insurance held their annual Food Drive benefitting local food banks and organizations throughout North Texas, while our real estate professionals donated hundreds of teddy bears that were given to patients at hospitals in Dallas/Fort Worth. Across DFW, the impact our 900+ real estate professionals and staff created in their communities was noticed regularly. 2018 proved to be an eventful year when it came to management and our real estate offices. As we grew across the company, many new leadership opportunities presented themselves as agents and staff alike answered the call to serve. 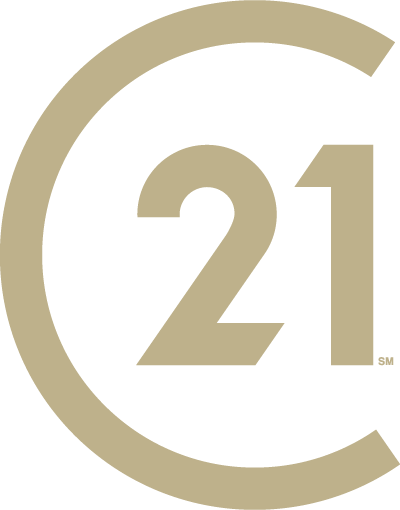 In September, we expanded westward across Dallas/Fort Worth as we joined forces with CENTURY 21 Lake Country. Located in Fort Worth on the shores of Eagle Mountain Lake, our partnership will enable CENTURY 21 Judge Fite Company to expand our market presence in Northern Tarrant, Southern Denton and Wise Counties. Throughout the year, we added additional real estate professionals to our C21 Judge Fite Company to build our market share in DFW. Whether buying or selling a house, our agents delivered extraordinary experiences with a 98% quality service rating among their clients. New agents reached greater potential by achieving new levels of recognition like Centurion or other Master’s Level awards through CENTURY 21®. We completed thousands of transactions across the 11,000 square miles we call home in 2018; helping countless families, friends, neighbors and professionals achieve their real estate goals. This achievement would not have been possible without the office camaraderie, leadership, mentoring and coaching at the one-on-one level which happens every day in our 25 regional offices. People at CENTURY 21 Judge Fite Company are making a difference and go above and beyond 121%. As the Official Real Estate Company of the Dallas Cowboys, we were thrilled to unveil our new brand identity at AT&T Stadium in 2018. Eye-catching program advertisements, digital banners and stadium displays were visible during each home game. Through our high-profile partnership, CENTURY 21 Judge Fite Company agents have the unique opportunity to promote their business in conjunction with America’s Team. This year we rolled out new Cowboys-branded marketing materials including business cards, name badges and various stationary products. The Cowboys’ kicker may have changed unexpectedly, but our commitment to giving back did not. For each field goal made by Brett Maher, CENTURY 21 Judge Fite Company pledged to donate $250 to Easterseals North Texas. Thanks to a playoff season from the Dallas Cowboys, we will be contributing $7,500. The Passport to Paradise contest for 2018 wrapped up on November 30 with a total of 47 trips won by our real estate professionals and staff. Including guests, more than 65 people plan to attend the trip in April 2019. Every year from December 1-November 30, real estate professionals and staff are given the opportunity to enhance their business with the Passport to Paradise contest. The guidelines for earning a Passport stamp encompass the professional development of the agent or staff, giving back to the community and contributing to the overall success of the Judge Fite family of companies. Participating in the Passport contest not only helps an individual’s business, but also provides them with an incentive of the trip to a very desirable location. In past years, trips have included locations such as Cozumel, Mexico; Panama City, Panama; and Costa Rica. Since its founding in 1937, CENTURY 21 Judge Fite Company has been committed to providing our real estate professionals and clients exceptional turn-key services in addition to home buying and selling. CENTURY 21 Judge Fite Property Management, Judge Fite Insurance, Designated Title, Cardinal Financial and the Connections Network all saw substantial growth and success in 2018. Our team at CENTURY 21 Judge Fite Property Management had a busy year as they acquired an additional property management company located across Dallas/Fort Worth. After the merger, the company manages more than 1,600 properties with a commitment to world-class service like no other. With growth each year, the future for CENTURY 21 Judge Fite Property Management will continue to provide services to landlords and tenants across DFW. Darren Allred became Director of Judge Fite Insurance when Eric Fite accepted the new COO position at CENTURY 21 Judge Fite Company. Later in 2018, Judge Fite Insurance added Allstate Insurance as an additional A-Rated carrier option for policyholders. The company is licensed in Texas, Oklahoma and 11 other states and is a member of the independent insurance agency of Texas. Designated Title expanded coverage of the Dallas/Fort Worth Metroplex for its escrow officers. The company provides agents accurate and reliable title services and is available to close anytime, anywhere. Cardinal Financial was introduced to our real estate professionals with familiar faces and new financial opportunities to support transactions in a variety of property types. The team of dedicated mortgage professionals continues to serve our brokerage with the best service and attention. Lastly, the Connections Network started off 2018 strong with a brand-new look. Along with a clean, modern logo, the Connections Network website received a revised image and functionality which provided our preferred vendors a strong web presence and gave our real estate professionals easy access to top vendors in the program. To all of our real estate professionals, core services staff and loyal clientele, we wouldn’t have experienced half of this success without your effort and support. CENTURY 21 Judge Fite Company is working on new efforts for 2019, and we look forward to helping grow our business, people and DFW communities. Thank you.